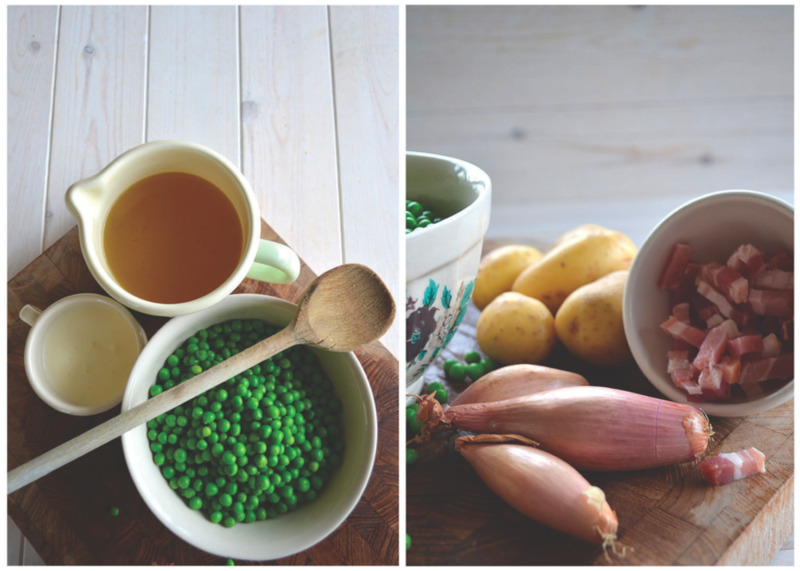 This really goes hand in hand with yesterday's post: warming soup, comfort food, a bowl of something full of flavours. Remember point number 7 from my top 10 tips? January is not the time to embark on a "salad and grilled chicken" diet. We need something warm and filling instead. So, here's my pea soup which will be enough for 4 people when served with some slices of toasted whole-wheat bread or grilled ciabatta. Put 100g of the peas into hot water to defrost, leaving the remaining 600g on the side. Peel and chop the potatoes and shallots and put in a large pot together with the lardons and fry on a high heat until slightly browned. Add the stock, turn down the heat to medium and leave to simmer for a few minutes. Add 600g of the peas and simmer for about 15 to 20 minutes. Put the whole content into your food processor and process until smooth. Now add the 100g of peas to the processed soup and give it another quick whizz. 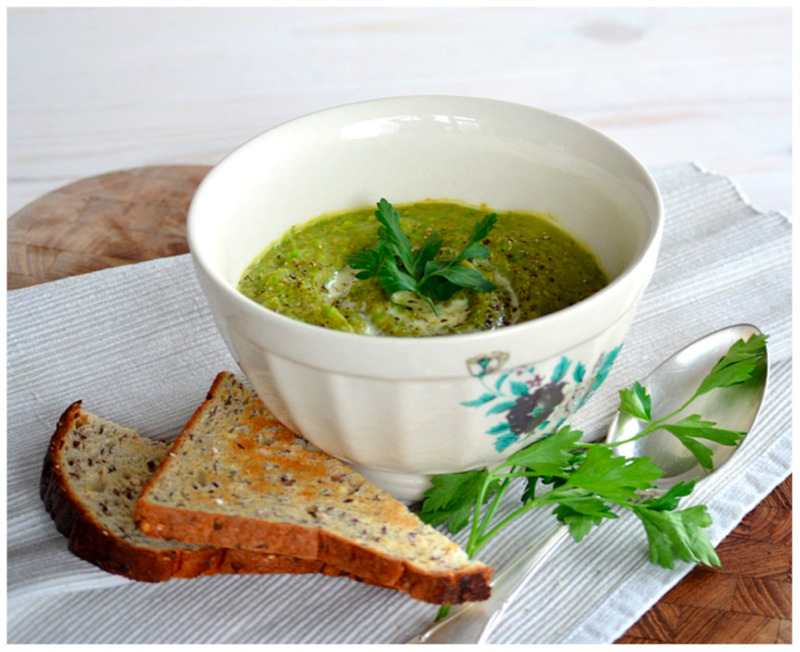 This will give your soup the green colour and a little bit of crunch. Return to the pot and on a low heat, whilst stirring, add the cream. Leave a little aside for "decorative purposes"
Divide into bowls, ad a little more cream to each, add pepper and garnish with a little parsley. You can of course go for the vegetarian option and leave the lardons out - though I do like the smokey flavour in combination with the peas. Please remember that my "recipes" are not an exact science - I'm not a chef and they're simply how I cook in my little kitchen for friends and family.